Olay is one of the best leading brands in India. All the products that they make are gentle and skin friendly. They are good for all types of skin whether sensitive, oily and dry. Your skin feels lighter and healthier when you use Olay skin care products; so today I am discussing about the top 10 Olay face wash. Try one of these face wash and enjoy the new and awesome experience for your skin. 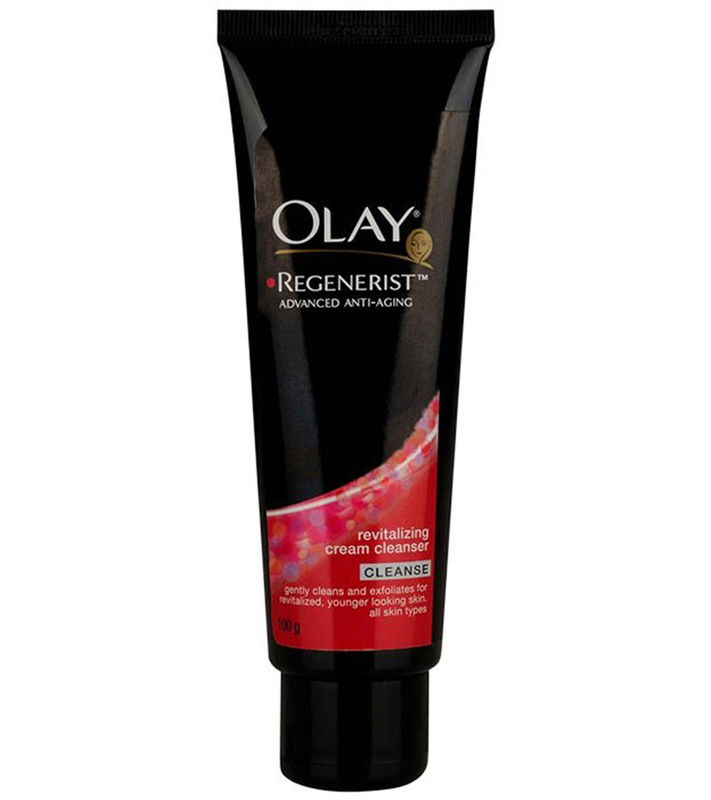 This facial cleanser from Olay is creamy in texture and has a very pleasant smell. It does not harm the sensitive skin and also removes excess of oil and dirt without making the skin dry. It comes in very attractive packaging. It is non comedogenic which makes it apt for sensitive skin and it also helps in lifting away the dull skin. This Olay face wash is very effective for the person having oily and acne prone skin. If you’re looking for a good affordable face wash then look no further as this face wash from Olay will help you out. It deep cleanses skin and makes it soft and smooth after every wash. It is soap free and that is why you will not feel any burning sensation while using it. It is packed in travel friendly tube and this tube will last for long. This cleanser from Olay is cream based in texture and washes away all the dirt and impurities effectively without drying skin. It removes oil from face which eventually reduces break out’s like acne, pimple and other skin problems. It has a mild pleasant fragrance which is not over powering at all. It also removes makeup and keeps your skin refreshed and healthy. This foaming face wash from Olay contains aloe vera which soothes your skin and your skin will feel refreshed after using it. It is soap free and easily available at all cosmetic stores. The aloe leaf present in it helps in removing pimples and if you like fragrance free cleansers then this is worth trying. It cleanses your face completely without leaving any dirt or residue behind. The product also has phenoxyethanol giving you a cool and refreshing experience. If you have oily acne prone skin and searching for a decently priced face wash, then this cream cleanser is made for you. The texture is creamy which keeps your skin moisturized and also removes excess oil; it also removes mild makeup which is commendable. It detoxifies your facial skin and regenerates the skin at cellular level. This Olay face wash for oily skin removes dead skin cells too and gives you glowing skin. It is a toner but works great in removing dirt, impurities and mild makeup too. It also removes oil from your face and also prevents oil secretion for long hours. It contains the goodness of aloe and cucumber extracts which cleanses your skin and tones it, as the name says. The aloe and cucumber extracts gives you a smooth and pollution free skin, most important fact that it is alcohol free. 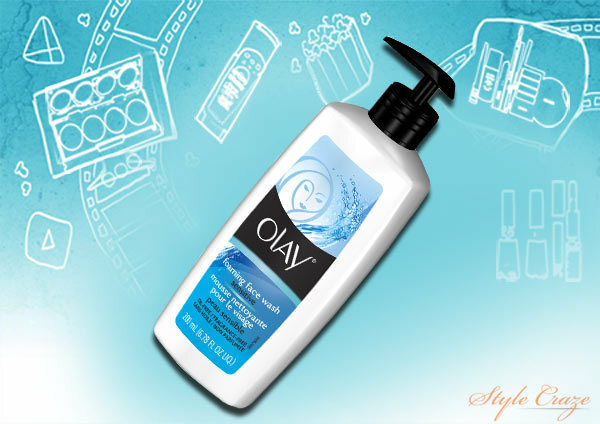 This balance foaming face wash from Olay washes away all the impurities from your face giving you a natural sensation. It is meant for normal and dry skin, a good budget product suits the pocket. It is fragrance free which is added advantage for sensitive nose and it does not make your skin feel tight. It has a good cleansing action which moisturizes skin and makes it soft. It does not make the skin feel stretchy at all. If you have sensitive skin and searching for a good face wash then this Olay face wash is worth trying as it is especially made for people with sensitive skin. It makes your skin oil free for long hours and also gives a cooling sensation. It does not cause irritation on the face even when used more than needed and it is fragrance free. It doesn’t contain any harmful ingredients and that is why it is apt for sensitive skin types. This face wash from Olay contains advanced whitening agents which makes your facial skin bright and also reduces skin tan and gives you an even skin tone. It is not harsh on skin and has a very refreshing and pleasant scent. It also reduces pimples and acne as it keeps your skin oil free for long hours and also controls oil secretion. It also removes mild makeup… what else do you need? This cleanser has fine and mild beads in it which exfoliates your skin well and helps in removing dead skin cells. It makes your skin clean by cleaning it deep from within. You need pea-size amount to make it lather well which means that one tube will last for long which makes it cost effective. It is dermatological tested and it is made for people with normal to oily skin.